Marvin Humes has joined a new group post-JLS with a completely different sound - he is now part of dance trio LuvBug. The singer has been secretly recording as part of LuvBug for 18 months, a dance collective that he has formed with White N3rd and JKAY, and which will write and produce for other artists. Marvin said: "LuvBug has been a project in the making for a long time now and I'm so excited that it's finally out there. Working with JKAY and N3rd over the years has been brilliant and I can't wait for everyone to hear all of our music. JKAY added: "We all grew up listening to lots of house and garage and now seems like the perfect time to dip into those kinds of sounds again." LoveBug have already signed a record deal with Polydor and their first single will be Resonance, featuring vocals from British singer Taley Riley which will be released on September 28. They have also been working with Becky Hill who features on Oliver Heldens' number one single Gecko (Overdrive), MNEK and songwriter Wayne Hector who has written for Nicki Minaj and Britney Spears. 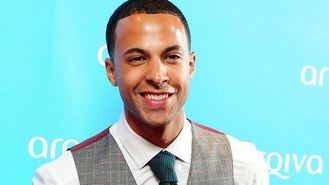 Marvin told The Sun: "A conventional solo career never interested me. JLS was such a big thing and my passion wasn't to be the front person any more. I want to write, produce and bring in different singers on projects. "I look up to Calvin Harris, Avicii and David Guetta. They are mega stars now, even though they're DJs and producers." LoveBug have a DJ residency coming up at Cafe Mambo and Pacha club nights in Ibiza. Kodaline have revealed they have been working with Harry Styles and are considering releasing a track they wrote together. Lily Allen has said she deals with criticism by going into "shutdown mode". Jennifer Lopez, Usher and Kiss will perform at the Fashion Rocks concert this fall. Jon Bon Jovi is to be honoured for using his rock star success to do good work. Iggy Azalea is taking on a new role as a commentator for the MTV Video Music Awards. David Bowie's duet with Bing Crosby on the entertainer's 1977 Christmas television special left an indelible impression on Crosby's teenage children. Mel B has admitted she would love to see the Spice Girls back together for another reunion. Justin Bieber has treated fans to snippets from 11 new tracks posted online. Paul Weller has said he couldn't care less about bands getting back together.